Miami (AFP) - The father of a US Navy SEAL killed in a raid in Yemen criticized President Donald Trump's decision to give the go-ahead and called for an investigation in an interview published Sunday. Bill Owens, the father of slain SEAL William "Ryan" Owens, told the Miami Herald he refused to speak with Trump when his son's flag-draped casket was brought home to Dover Air Force Base aboard a C-17 transport plane. "I told them I didn't want to make a scene about it, but my conscience wouldn't let me talk to him," Owens said, speaking out for the first time in the interview with the Herald. Launched January 29, six days into Trump's presidency, the raid quickly ran into trouble. The Navy SEALs received fire from all sides as they attacked the objective, an Al-Qaeda in the Arabian Peninsula camp. Air cover was called in and a V-22 tilt-rotor aircraft crash-landed during the fight and had to be destroyed on the ground. By the time it was over, the 36-year-old Owens was dead along with as many as 16 civilians -- eight women and eight children, a Yemeni provincial official said. 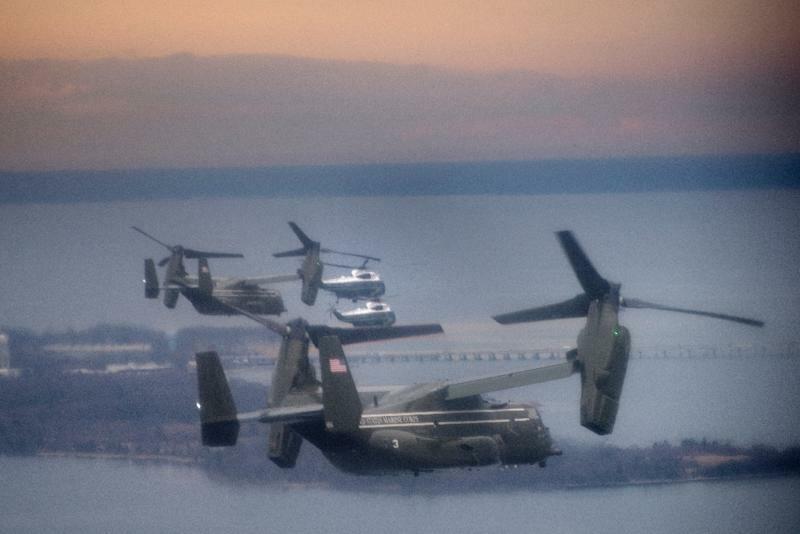 Three other SEALs were wounded and three more US troops were injured in the V-22 crash. Republican Senator John McCain called the operation a failure, but the White House hailed it as a success and said its detractors dishonored Owens' memory. "Don't hide behind my son's death to prevent an investigation," William Owens told the Herald. "I want an investigation.… The government owes my son an investigation." The White House has said Trump was briefed about the operation over dinner by former national security advisor Michael Flynn, and signed the memo authorizing it the following day, January 26. "Why at this time did there have to be this stupid mission when it wasn't even barely a week into his administration? Why?" Owens said. "For two years prior, there were no boots on the ground in Yemen -- everything was missiles and drones -- because there was not a target worth one American life. Now, all of a sudden we had to make this grand display?" Asked on ABC's "This Week" about Owens' call for an investigation, White House deputy press secretary Sarah Huckabee Sanders said she had not spoken directly with Trump about it "but I would imagine that he would be supportive of that."